Fits in a pocket or toolbox, or for real-time data, keep it cabled to your PC. Internal battery lasts 1 year before recharge is needed. 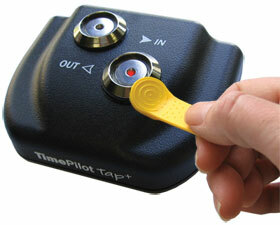 TimePilot Tap+ goes where other portable timeclocks are afraid to go. 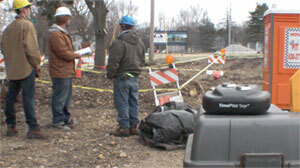 The durable, battery-powered Tap+ is small enough and light enough to slip into a pocket or fit in a toolbox. It's also perfectly comfortable as a desktop timeclock. Each employee is assigned an iButton, a small device that fits on a keychain. (The Tap+ Starter Kit comes with 10; each clock can handle up to 2,000.) 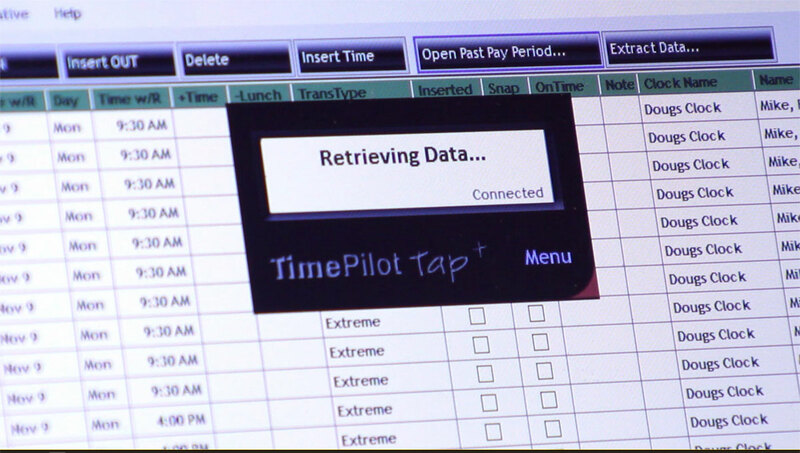 When the employee taps his or her iButton to the “In” or “Out” probe on the clock, the employee is identified and the time of the clock-in or clock-out is recorded. 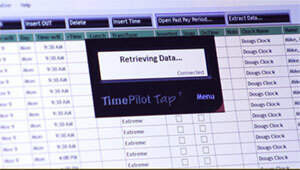 At the end of the pay period, just use the included USB cable to connect the Tap+ to your Windows PC running the TimePilot software (also included in the starter kit). 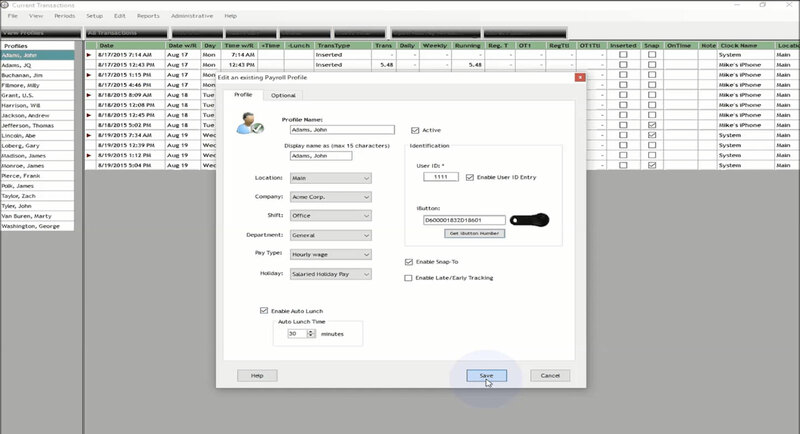 The clock-ins and clock-outs are transferred from the Tap+ to the software automatically. The Tap+ Starter Kit comes with TimePilot Professional Edition software; if you wish, you can upgrade to TimePilot Enterprise Edition software for an additional $149. To learn more about the software, click here. 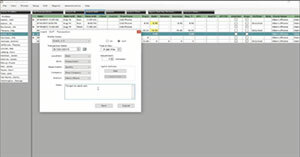 In the password-protected software, supervisors can edit or insert clock-ins and clock-outs, create reports by employee, department or location, or export the data to a spreadsheet or to a payroll service or software package like QuickBooks, ADP or Paychex. The sealed, rechargeable battery inside Tap+ is designed to not need a recharge for a year. However, whenever you use the USB cable to attach the Tap+ to the PC and download your data, the battery charges. Data is stored in non-volatile memory, which means that even if the battery was fully discharged no data would be lost. Use more than one Tap+ at a time. You can run as many Tap+ clocks as you want and have all of them feed their data into the same TimePilot software installation. Employees can clock in or out at any of the clocks. A three-pack of Tap+ clocks is just $459. (Remember, you’ll need a Starter Kit first, because it contains the software!) 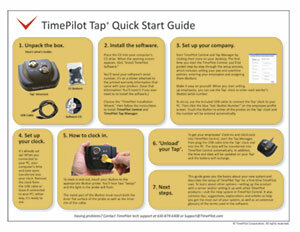 Click here to purchase more Tap clocks. Leave the Tap+ cabled to your computer to make it the perfect desktop timeclock. 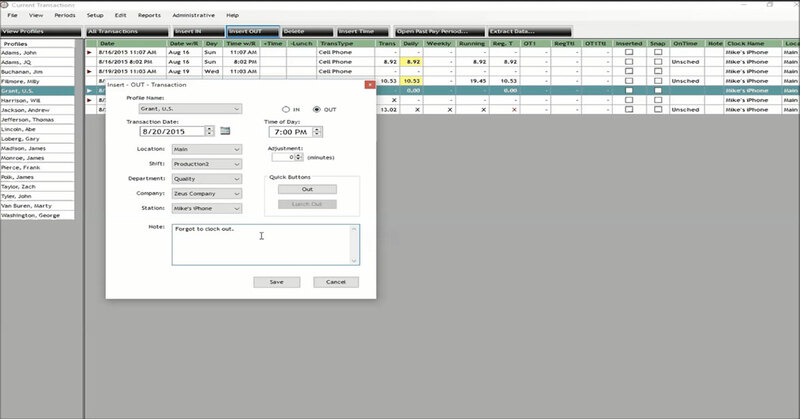 All clock-ins and clock-outs are instantly sent to the software so you can see the data in real time. Use the Tap+ with other TimePilot timeclocks. 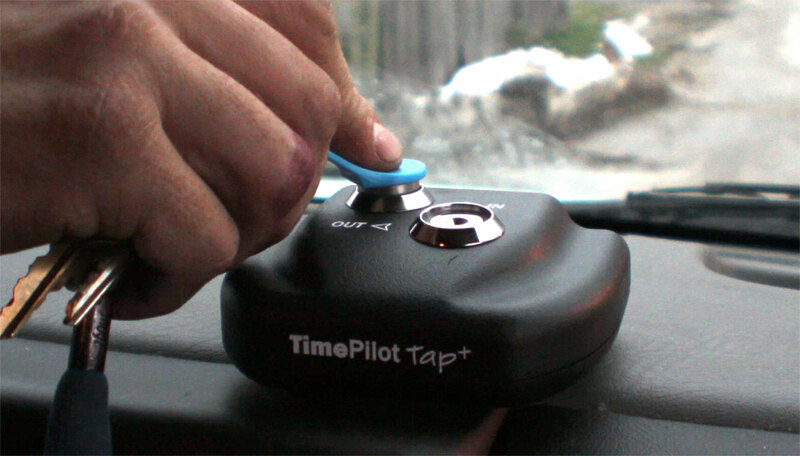 The TimePilot software treats clock-ins and clock-outs collected by any TimePilot clock the same, so you can, for instance, use Tap+ clocks on the road, Extreme Blue weatherproof clocks at job sites and Vetro wall-mounted clocks at your office. Employees can clock in or out at any of the clocks. Professional Edition Software on CD (No CD/DVD drive on your computer? No problem! You can also download the software from our web site.). Add more Tap+ clocks to your system. $169 for 1, with discounts for 3-packs and 5-packs.